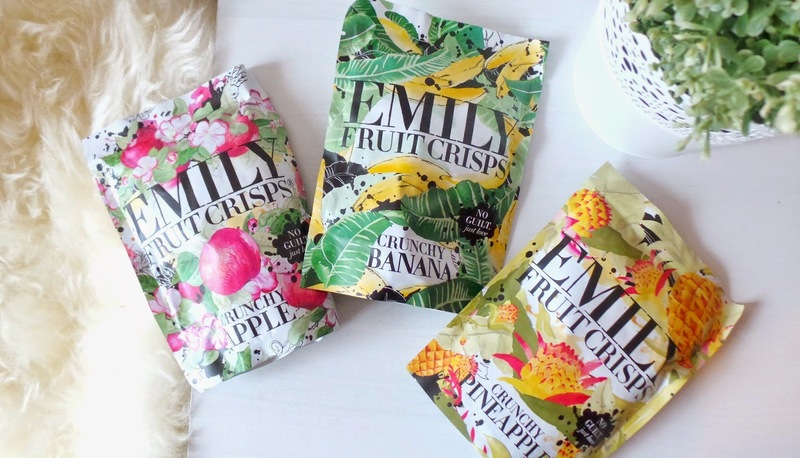 Emily fruit crisps are a new snack and taste amazing and a are the perfect guilt free snack to keep in your handbag for on the go. Also they have a great name! I have tried these 3 lovely flavours, apple, pineapple and banana. My favourite would have to be the banana by far. They have a delicious taste and a nice crunch. So swap those unhealthy crisps for this healthy and guilt free alternative. As some of you may know I’m trying to be a lot healthier at the moment on Slim Fast and these treats are perfect for a mid morning or mid afternoon snack. I’ve also found with these tasty snacks, they are great to put on top of some yoghurt or in baking like a bran muffin or oatmeal cookies. 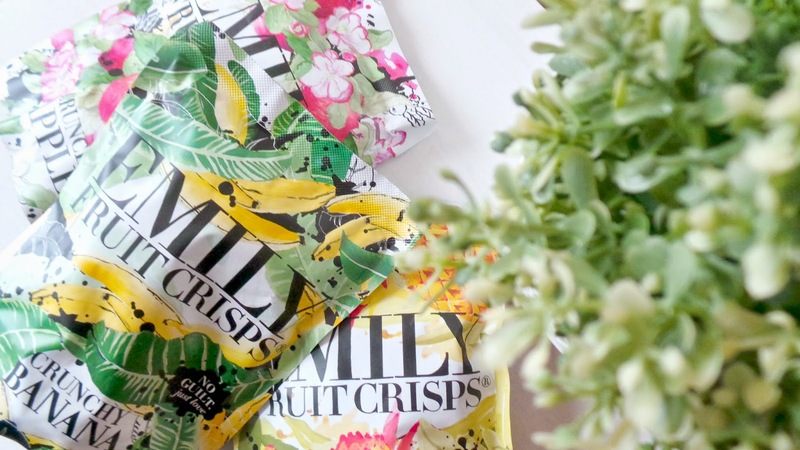 There is also quite a romantic story on where the name came from for these fruit crisps. 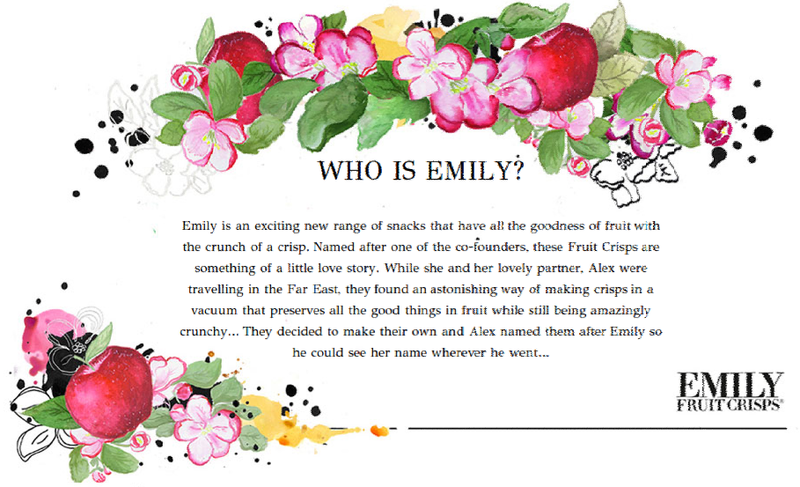 You can see it on the website (http://www.emilyfruitcrisps.co.uk/) but I will paste it below. Have you tried these before, what else would you like to see for #tastytuesday let me know in the comments below?